I only need the blue CLI-226C ink. Is this available separately, not in a pack with other colours? I've been using a lot of blue lately! Hi, I have a Canon MG530 printer and the cartridges say CL-541 and PG-540 on them but I can't find them. Do you stock them? We're unable to recognise the printer model number you've specified so we can't confirm whether or not it accepts PG-540 and CL-541 cartridges. This page displays ink cartridges for the Canon Pixma MG5300 printer which requires PGI-525 and CLI-526 cartridges. We advise you to check the full model number of your printer and ensure that it was purchased in the UK before ordering ink from Cartridge Save. 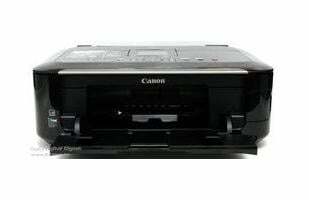 My Canon MG5300 series printer has two black cartridges; BK and PGBK. Do you stock PGBK? We also stock premium brand versions of either cartridge which can be found by clicking on the yellow box 'Premium brand available' on the above links. Built for small offices and home users, the Canon Pixma MG5300 series printer is a reasonably-priced yet high quality multifunction machine. The Pixma MG5300 inkjet printer is versatile as it comes equipped with built-in copy, scan, and print functions, and other features that simplify the workload and improve productivity. However, it does lack expandability features, preventing it from being more useful in a busier office environment. The sleek and stylish yet compact body of the Canon Pixma MG5300 all-in-one inkjet makes it suitable for the contemporary and tech-savvy workplace. It is lightweight and easy to set-up, with interfaces like Wi-Fi, high-speed USB 2.0, and direct print ports. The centrepiece of this MG5300 printer is the flip-top colour LCD screen, and the control panel is easy to operate with one-touch buttons. There are two-way paper feeders for simultaneous loading of two different paper types to help users save time. This is an eco-friendly printer with auto duplex and auto power-off, and with quiet mode activated, the Canon Pixma MG5300 printer won't contribute to distractions in a room. The device supports borderless printing and printing from Android and iOS tablets and smartphones. Pixma Cloud Link makes it easier to print from web albums like Picasa. The Canon MG5300 colour inkjet printer can also print directly on CDs, DVDs, and Blu-Ray discs. The copier can produce up to 99 copies from the original. Low-cost compatible Canon MG5300 inkjet cartridges can be purchased for the machine, allowing users to make significant savings on ink. It's impossible to expand the paper capacity of the Pixma MG5300 multifunction printer. It's not networkable via Ethernet. Google Cloud Print is not supported by the all-in-one MG-5300 printer.